Back by demand, we at Solos are pleased to re-introduce fabulous weekend theatre breaks in London. With a stay now included at the fabulous Radisson Blu Edwardian Sussex Hotel right in the heart of London Town, these breaks are a must for all theatre goers looking to do a theatre break in style! Social evenings spent with new found friends! These relaxed weekends are perfect for exploring London at our own pace yet and include the wonderful experience of a fabulous matinee West End show. On our first evening meet your Tour Leader for a welcome drink before dinner in the hotel while the next morning is a leisurely affair. Take in a museum, see an exhibition or give the credit card a work out at the shops before heading to Theatre Land! Our second evening is free to have dinner together in one of the amazing restaurants nearby with perhaps a few drinks afterwards in one of the many bars and pubs. When Dorothy famously triumphed over the Wicked Witch, we only ever heard one side of the story. Wicked tells the incredible untold story of an unlikely but profound friendship between two young women who first meet as sorcery students at Shiz University: the blonde and very popular Glinda and a misunderstood green girl named Elphaba. Their extraordinary adventures in Oz will ultimately see them fulfil their destinies as Glinda The Good and the Wicked Witch of the West. 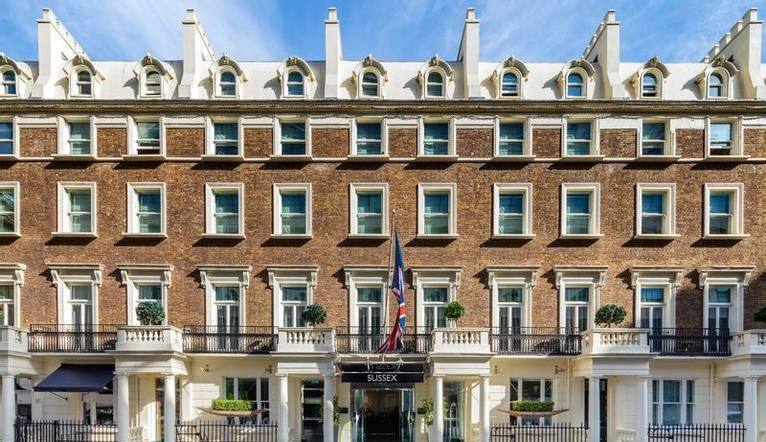 Located just a few minutes’ walk from Oxford Street and beautiful Hyde Park, this chic yet relaxing hotel is a listed building from the Edwardian times yet still brings a modern vibe with a touch of elegance. Guests can enjoy free WiFi throughout the hotel, comfortable ensuite rooms with original layouts from the hotel’s Victorian heritage, an onsite restaurant where breakfast and our included dinner will be taken and a fitness room. Our single rooms are compact and are just right for the single traveller. All rooms feature Smart TV, fridge, air-conditioning, safe, ironing facilities, tea/coffee-making facilities and free Wi-Fi. Room upgrades are available on request. Radisson Blu Edwardian Sussex is located just off Oxford Street and only 350 yards from Marble Arch Tube Station which is on the Central Line. There is often confusion on the question of gratuities, since it frequently depends on the type of holiday, location and, of course, your attitude towards tipping, as to what is normally expected. In order to give you a rough idea, we have given appropriate guidance below. The Tour Leader will be on hand to offer advice or suggestions if required but gratuities are offered entirely at the sole discretion of the individual.We suggest a group collection at the beginning of your holiday to cover drivers, guides and hotel staff (including restaurant, kitchen and reception staff) of approximately £5. Your Tour Leader will collect this on your behalf and distribute it accordingly, thus relieving you of the burden of who, when and how much to tip. The tipping of bar staff and housekeeping will be left to your individual discretion (the rounding up of the drinks bill and a small amount left in your room on departure should cover this and would be much appreciated). For any meals that are not included in your itinerary, restaurants expect a 10% gratuity (do check that service has not already been added to your bill). For taxis 10% of the metered fare. Dress will be casual for most of the break. However, gentlemen are requested to wear a shirt and tie for dinner.